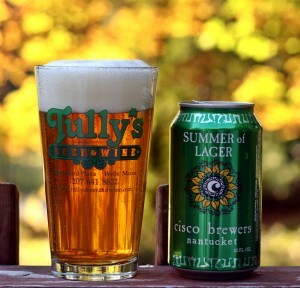 This may be the last of my Summer beers and I really will not miss them as I am ready for some nice stouts and porters. This can came from Bier Cellar in Portland as I picked up a few singles of Cisco cans a while back. Overall these beers are OK and represent the style well but not something I would seek out to try again. Color is a nice gold with a thick white head – a nice looking lager. Aroma is almost non-existent but you can pickup a bit of spicy hops. 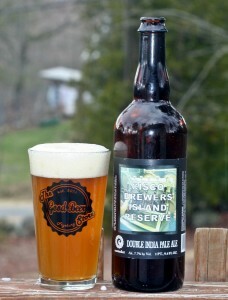 Taste is light and refreshing with some solid malt character and just a hint of herbal hops in the finish. Dry finish and easy to drink as you would expect from a Helles Lager. Overall not a bad beer for a Summer afternoon. 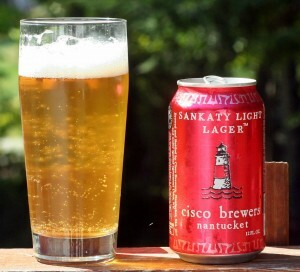 Brewers Description: A light lager released at the beginning of the summer when Nantucket is just getting it’s groove on! 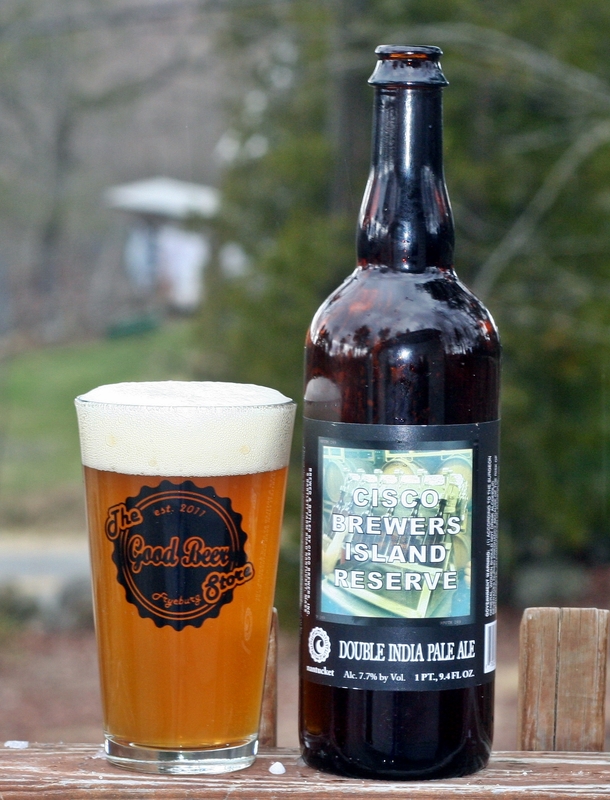 It’s a classic Bavarian style lager with a delicious malt palate and an assertive noble hop finish. Hints of citrus give this lager a light, refreshing flavor perfect for hot summer nights. 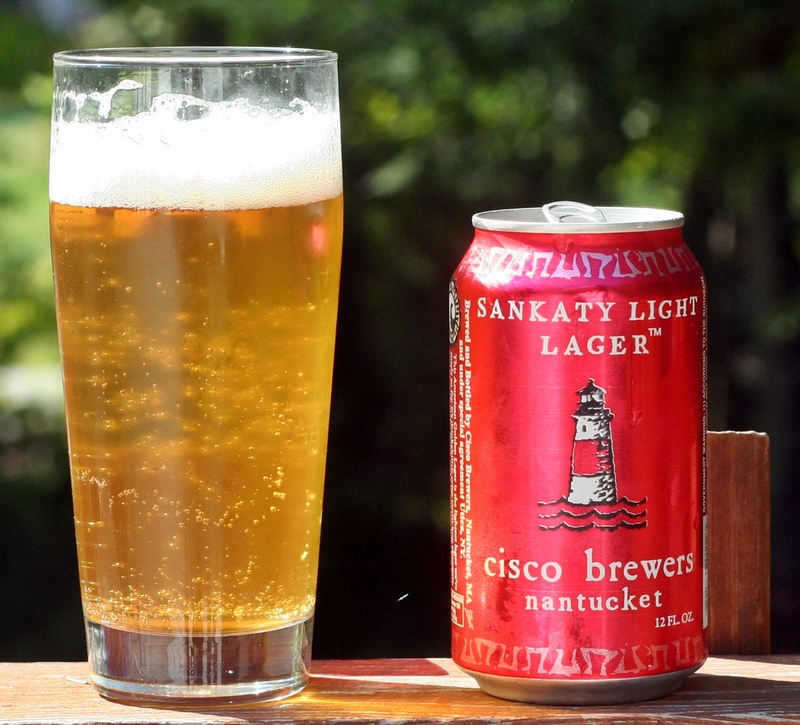 Cisco recently started selling cans in Maine so when I saw a few at Bier Cellar in Portland I grabbed one of each. Hopefully the others are better than the pale ale. Pours a nice deep orange color with a thick off white head that disappears quickly, leaves no lacing and makes the beer appear flat. Aroma has some hop and sweet caramel but it is fairly subdued. Taste is almost all malt and very sweet. Not what I expect from a pale ale, tastes more like an amber ale due to the lack of hops. This beer was disappointing in appearance due to poor head retention and taste. 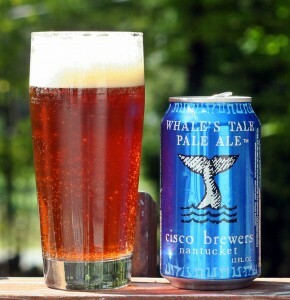 Brewers Description: Whale’s Tale Pale Ale is an English style pale ale. This is our flagship beer. Wonderfully balanced with Maris Otter malt, hints of crystal malt and generously hopped with East Kent Goldings, it has a rich honey color and fruity hop aroma. It is named in honor of Nantucket’s whaling history.